There is the great need for the new worker in the post offices. This motivational letter sample which I am providing in this post, for the postman. 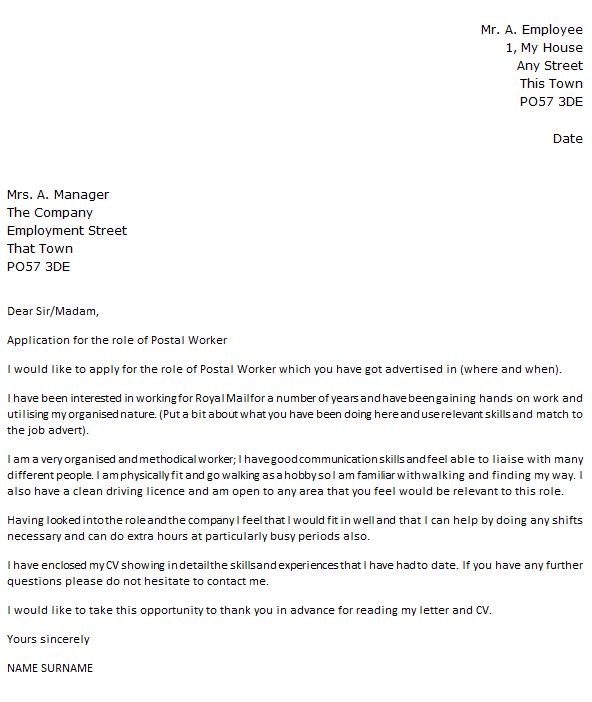 I am informed by a local job recruitment agency about the vacant post of a postman at the Capital mail services postal department and by the way of this letter I would like to tell more about myself and also like to share with you the knowledge and the working experience which makes me a competent person to apply for this job of a postman. First of all I would like to be very specific about my educational qualifications for the application of this job , Well I passed my high school with a distinction and I was very good at studies, I even wanted to pursue my study further but due to my some personal family issues I could not pursue my studies further . My father passed away in the same year that I had passed my high school in, and that was the most unfortunate incident of my life as it put my life on an entirely different platform. After I lost my father the all burden of running my house came over me since I was the only son of the home and my mother did not use to keep well those days , Being in such compulsive situation I had to discontinue my studies and I started looking for the job and then one of my neighbor uncle suggested me the first job and that was the job of delivering the letters from my local and a small postal department , in other words that is when I had first offered a job of a postman. Although that was a small post office of my district but at that time the efforts that it demanded from me were very huge and that is when I started learning a real job of a postman, my main job was there first to collect all the mails from the main branch of post office in the local branch of our district after that the next job would be organizing them in an such orderly manner that they could be delivered to their desired destinations without any mistake and the delay and then the last job was delivering them to their destination. I had this extensive experience of being a postmaster at a very tender age. This job of postmaster taught me all that it requires to become a postmaster right from the hard work to the discipline and a manner of keeping the things in an organized way. Although the job of a postmaster does not require that higher grades of education but it surely requires the presence of mind, a sense of complete dedication of oneself towards others and surely a hard work that this profession really requires, sometimes you have to deliver the mails at odd places and at the odd times when they are important enough to be delivered as soon as possible. I have seen and gone through it all the colors of this job. 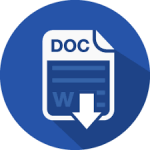 -I am possessed with good communication and the writings skills which are the assets of a post master to communicate to the people concerned. 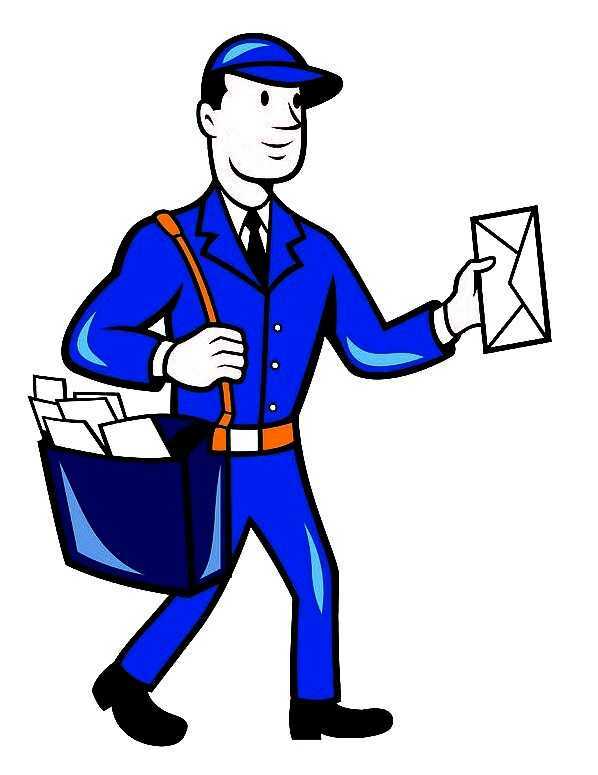 Other than these attributes possessed a postman is known, by his ability of organizing the mails in a order that they could be delivered to the right person and at the right time, I understand the value of time that a letter if delivered after the reasonable time has no worth left with it. I am myself a type of person first who is very sorted and organized of his own stuff and in the same way I do my job since for me this is not merely a job but the part of myself. I dedicate myself fully to this profession and because of that I am respected and appreciated for my services by the people for whom I am serving. This is not just a profession for me of delivering the mails and the packages to the people concerned rather this is the profession of delivering the emotions to each household around, These mails are connected with the emotions of the people and I often see that every day, The mails that I deliver leave a wide impact of some unexplained emotions which are really hard to understand and to define as well. I work very hard to deliver the messages that are sent to these people on a timely basis. I am a very hardworking person and from the journey of my life it is very clear to have an idea about the experience that I am having in this domain, I am able to work at any shifts as per the requirement of this job. I am fully aware with the area where this job is to be executed along with all other traits that are required to avail this job. 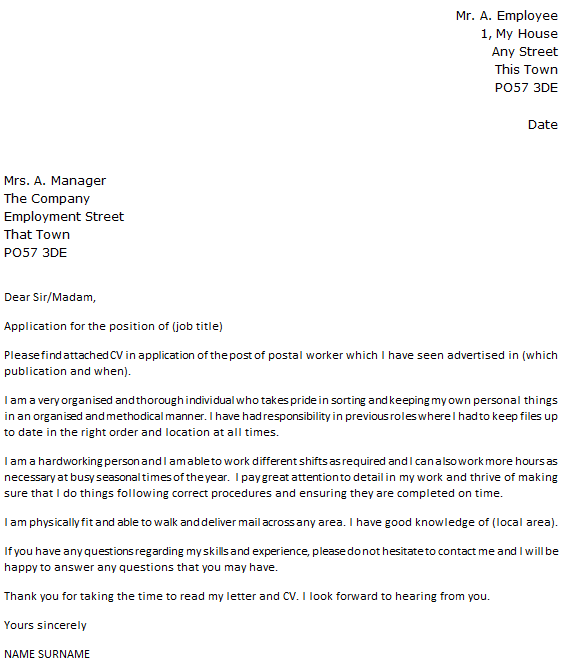 I am very much positive that I would be considered the right candidate for this job thank you for your time to read out my letter and I am looking forward to be hearing from you.